Skullcandy, a headphone manufacturer, is renowned for making some of the coolest headphones on the market. From in-ear to around-ear headphones, you can find Skullcandies all over, and they have some cheap earbuds. 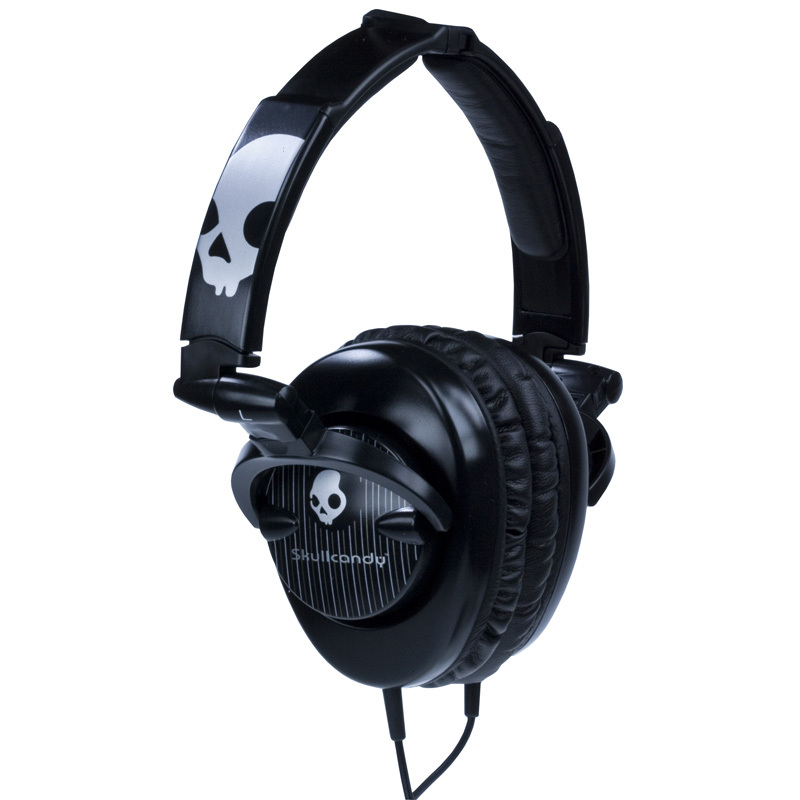 Anyway, the Skullcrushers are different from most headphones you can find. They are circumaural , or around-ear, headphones and feature a 30mm subwoofer built in. Yep. A subwoofer. Don't get me wrong, these headphones are amazing. They vibrate. Most people don't understand that when I tell them that; but they vibrate. You know how your cellphone vibrates? Well, its like that, but with sound. That will amaze your friends. Now, if you don't have a bunch of techno or dubstep that relies on bass, you will constantly be adjusting the built in bass remote (on the cord). So, I primarily listen do techno, so it is great for me. For the majority of people, however, these headphones will be cool, but not practical as the sound quality for mid-range and treble simply aren't that good. Overall, these headphones aren't too complicated despite the boost system. It requires a AA battery for the booster, which is held in a little console on the cord. Now, this little console can be kind-of a pain, as it is big and won't really fit in your pocket with your MP3 player, but it does have a clip on it which helps. The controls on the clip are pretty basic: on/off switch and boost level scroller for adjusting how much boost there is. Make sure to turn off the boost when you aren't using it, as it will still use the battery. The set comes with a nice, silky bag for transportation and storage, and the set itself folds up to fit in it. Folding and unfolding can be a slight confusion, but it's easy to get used to. 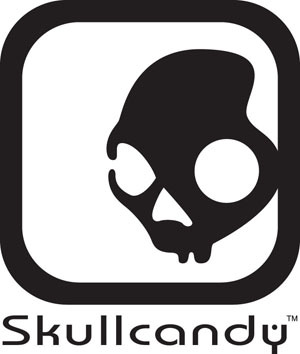 Skullcandy makes some good quality products in both sound and material. Like I said before the sound quality isn't very good besides the bass. Now, the actual headphones are a different story. The plastic doesn't feel cheap, except for in the extensions, which is worrisome. Otherwise, everything is beyond nice. The soft, leathery material that goes over your ears is nice and comfy. Plus its warm! Over time, the cushions may wear down and lose their cushy-ness, but that is inevitable. All in all, these are very good quality headphones. Probably what Skullcandy is known best for, the aesthetics of all of their headphones are awesome. The Skullcrushers especially follow suit. There are a bunch of different graphic styles to choose from, and I have teh Black Pinstripe and have not ever looked for a different style. They pretty simply just look sweet. You can get most graphic styles for around $40, which isn't bad. These are definitely worth it if you want the bass. If you are looking for some better quality headphones, you can get some for cheaper for sure; the the Smokin' Buds by Skullcrusher, some earbuds with great quality for $20, plus you can wear them with a hat. All in all, for circumaural headphones with bass boost $40 is not bad at all. Despite mediocre sound quality, the Skullcrushers return us with some ear vibrating bass, edgy look, and durable quality. These are a great set to listen to your techno collection on, or any other bassy music you may have, but they aren't practical for everyday use for everyday people. For $40 though, you can wow your friends and find some use for sure.